When sandwiches are served, this process should go smoothly. 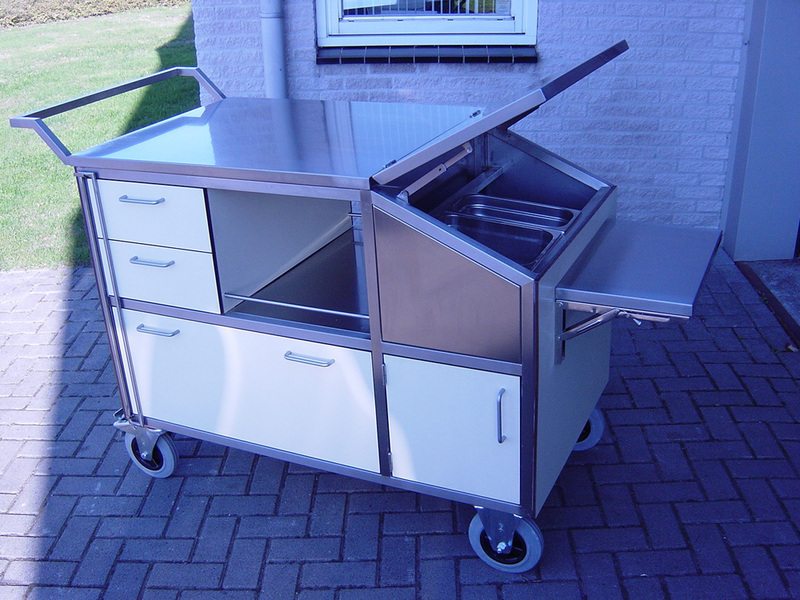 Whether it is sandwiches for lunch or loose snacks in between, a mobile bread trolley is essential to bring products from A to B fresh and on time. 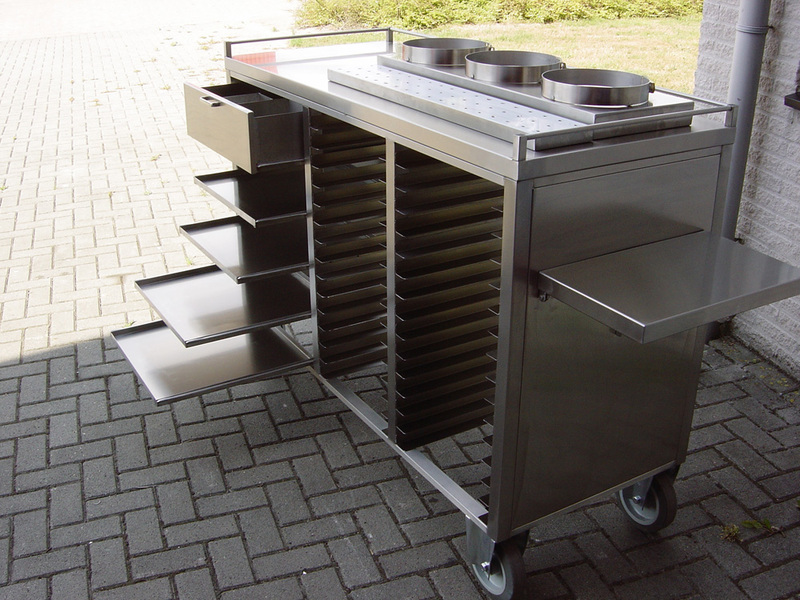 Merito builds custom bread trolleys that are adapted to your wishes. 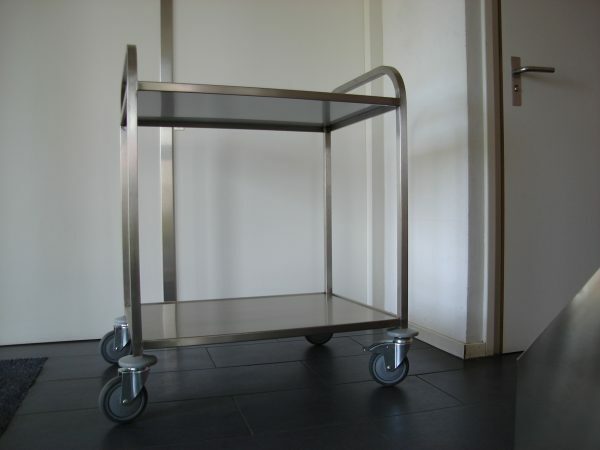 For a fast and efficient service, it is important that everything in the bread trolley has its own place. 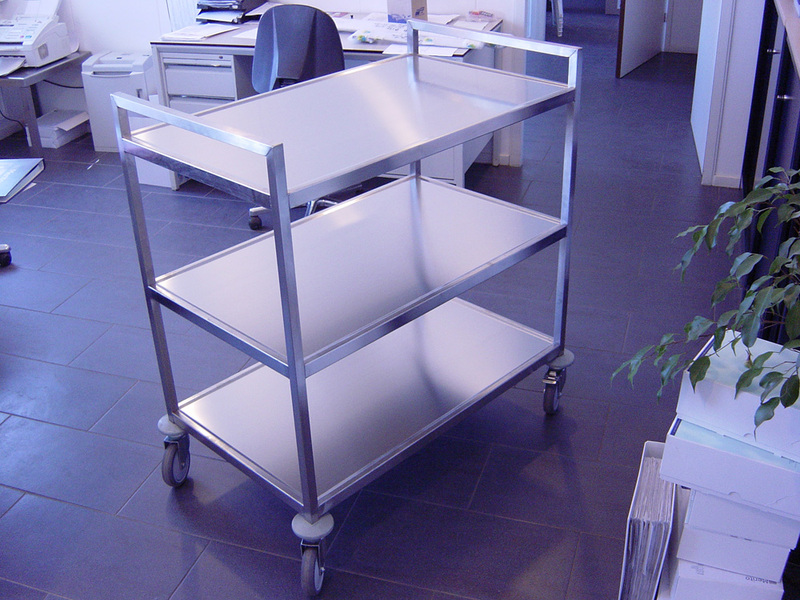 Merito trolleys are well organized and handy. A stainless steel bread trolley can be equipped with drawers and bins of various sizes. Our bread trolleys offer optimal storage facilities for a range of ingredients: dry or juicy, cold or hot, with meat or vegetarian. Merito builds custom bread trolleys that are adapted to your wishes. Thanks to our many years of experience, we know better than anyone how important a generous work surface is, where the bread can easily be cut, lubricated and spread. Mobility is the distinguishing factor of a bread wagon. To ensure that all ingredients come safely, orderly and above all hygienically from A to B, we follow a number of safety measures. 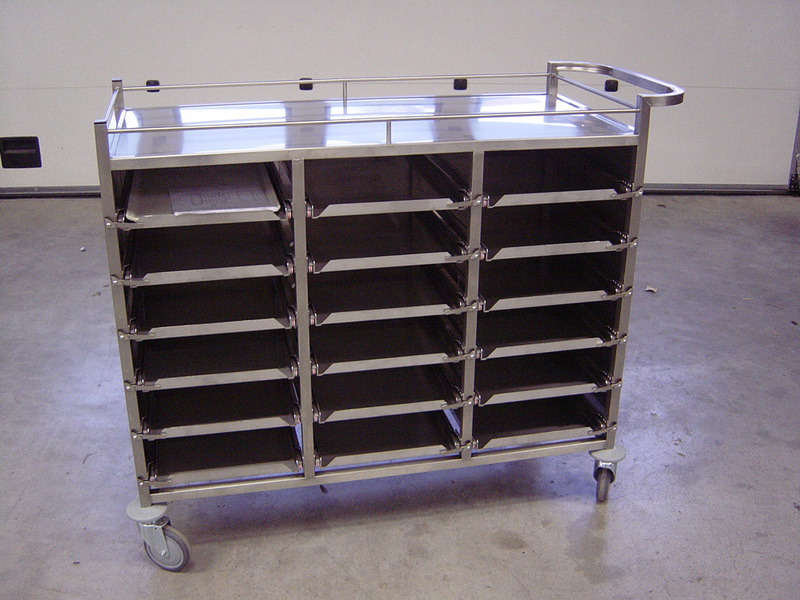 For example, the drawers of our stainless steel bread trolleys can be closed with a locking mechanism. This way they cannot open when the bread trolley is in motion. Our bread trolleys are frequently used in catering establishments, nursing homes, schools or hospitals.